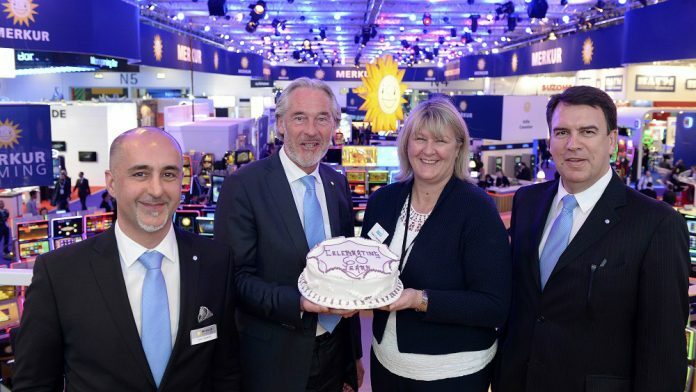 Five long time exhibitors at the world’s leading gaming expo celebrated by ICE Totally Gaming’s organisers. 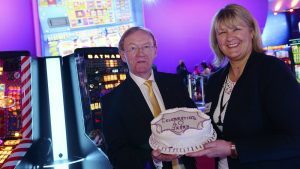 The opening day of ICE Totally Gaming, witnessed a number of significant landmarks. 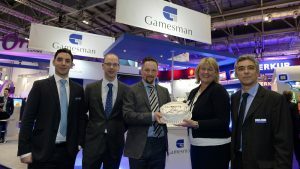 Kate Chambers, Managing Director of the Gaming Division at Clarion Events, made presentations to Gamesman (celebrating 20 years at ICE), SUZOHAPP (30 years), Bell-Fruit Group (40 years), PST (50 years), and in the case of Merkur Gaming, a 60 year association with the world’s leading gaming expo. 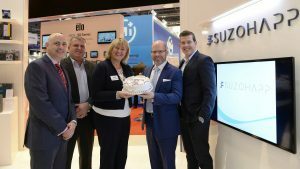 Kate Chambers said: “I have consistently gone on the record as saying that ICE is nothing without its exhibitors. I am absolutely delighted to be able to make presentations which celebrate long and rewarding relationships. I am truly honoured that ICE has provided the backdrop to their success. 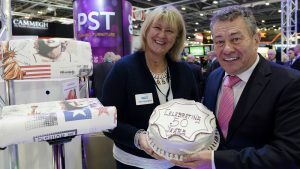 In a separate presentation, David Snook, of Intergaming, received a cake marking 50-years reporting on the show. I am absolutely delighted to be able to make presentations which celebrate long and rewarding relationships. ICE Totally Gaming continues through Wednesday (6pm) and closes at 4pm on Thursday, 9 February 2017. This article was initially published on www.betting-business.co.